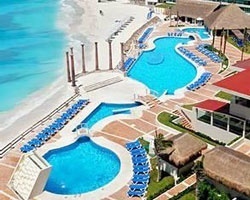 The NH *Krystal Cancun Hotel* is located in Punta Cancun Beach in the center of the hotel strip. Here, you can relax in the shade of a palm tree and forget all of your worries. 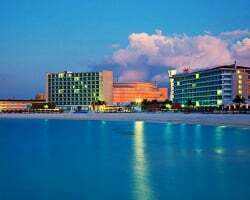 The resort sits next to the turquoise waters of the Caribbean Sea and is within walking distance to numerous restaurants, clubs, bars, malls and a convention center. Enjoy the health club, tennis or racquetball courts, aquatic activities, and the outdoor pool. For more information, visit www.nh-hotels.com. 12 weeks remaining on contract! Floating usage! Buyer may receive a title fee credit, inquire for details! 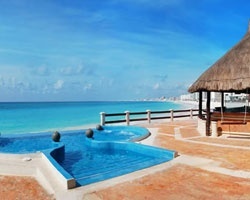 Stunning beachfront resort in a prime location! RTU in perpetuity! Buyer may receive a title fee credit; inquire for details! Annual floating week in Punta Cancun! Great central location to activities and entertainment! RTU until 2024! Floating red season week! RTU until 2031! Make an offer today! Buyer may receive a title fee credit, inquire for details! Price is negotiable! Sale includes 1 bonus week for $99.00! RTU until 2024! Buyer May Receive A Title Fee Credit, Inquire For Details! 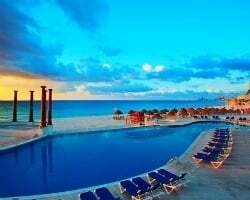 Visit Cancun From April - June or September - October! Very Motivated Seller! All Offers, Even Below Advertised Price Will Be Considered. Annual floating week! RTU until 2039! Buyer May Receive A Title Fee Credit, Inquire For Details! Come relax your stresses away! 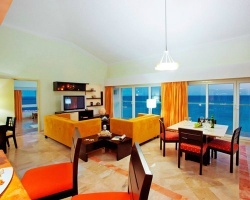 Great suites with all the comforts of home! Floating week! Inquire for details!